Tall Ships Races: Race 1. 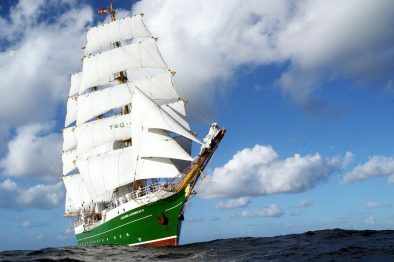 Join the famous green German Tall Ship Alexander von Humboldt II for the largest annual Tall Ships festival. You will board the vessel in Danish Aalborg, together with 50 other trainees, and sail out from port in the Parade of Sail. Then the race will start! Trimming the sails for maximum speed, steering towards the destination and looking out for other vessels will take your time on watches. In your off time you will be able to relax on deck and hang out with your new friends. Finally you will reach Norway and spend your last days on board enjoying the harbour festival. Languages on board are mainly German and English. 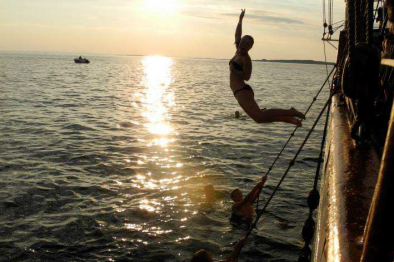 In addition extra, per person € 50, – for harbor fees, pilotage, etc. Surcharge for 2-bed cabin 25% p.p. For all Windseekers, minimum age 15 years. Once again in 2019 the Tall Ships from all over the world will come together to compete in the 63rd annual Tall Ships Races. Race 1 will take you from Denmark to Norway. 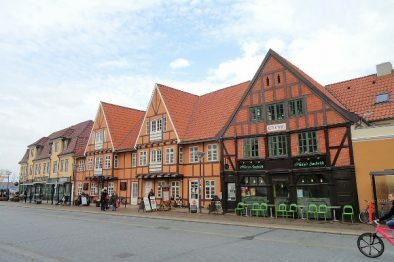 You will leave the city of Aalborg in a spectacular Parade of Sail, before embarking on an exciting race. 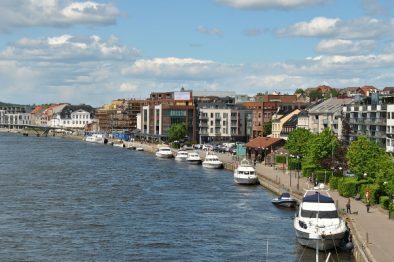 After a few days on the open sea you will reach Fredrikstad where you will join your fellow trainees from other Ships in Crew Parade, Crew Party, friendly competitions and visiting other vessels. 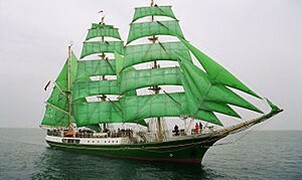 As a Windseeker you will be a trainee on board of Alexander von Humboldt II. 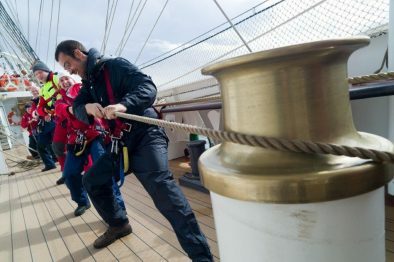 Under the watchful eye of professional crew members you will be responsible for sailing the Ship from setting and trimming the sails, through looking out for other vessels, to navigating and steering. You will have day and night watches, and also some time to relax and enjoy the journey!